Helium-3 Insert for High Field Magnet System - Cryomagnetics, inc. 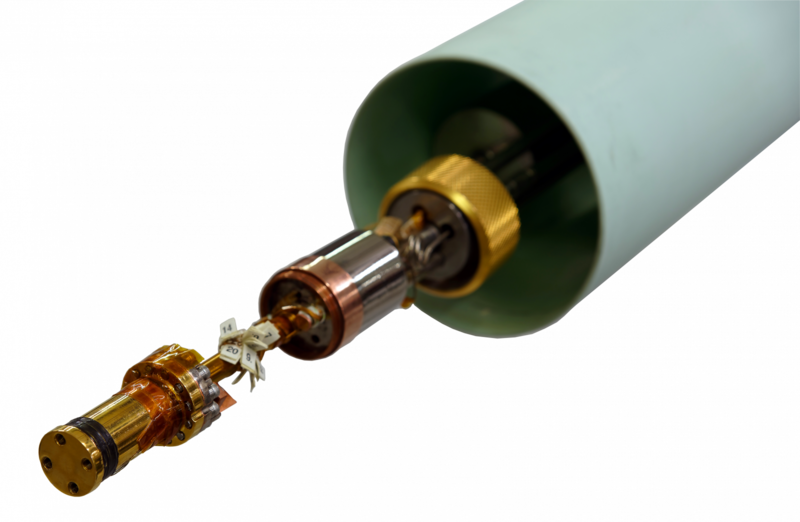 Designed as an interchangeable insert for a customer’s existing Cryomagnetics 16 Tesla magnet system, this He-3 Variable Temperature Insert (He-3 VTI) has been designed to provide continuous temperature control from 0.30 K to 40 K. Unlike abundant He-4, the lighter He-3 isotope is a fermion and becomes superfluid via Cooper pairing only below 1 mK (comparing with He-4 at 2.17 K). 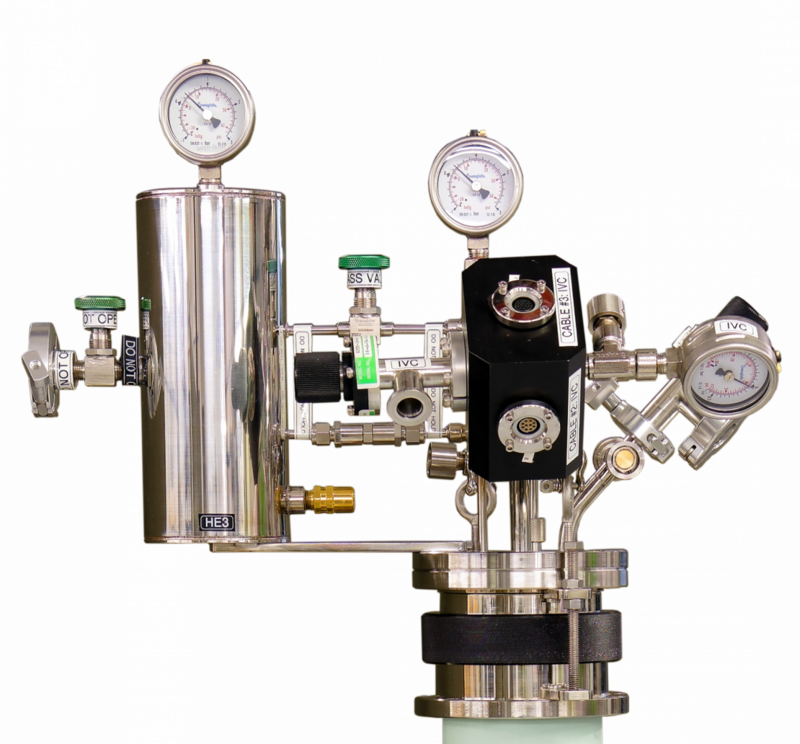 Evaporative cooling of the liquid He-3 cools the sample down to .30 K and it is driven by sorption pump, which contains materials like activated charcoal with enormous total surface area, in a closed circulatory loop to avoid losses due to its high price. At ~10 K almost all of the He-3 is adsorbed by sorption pump, whereas at ~ 32 K practically all of the He-3 molecules are desorbed. 12 Twisted pairs (24) experimental wires BeCu.